If you go nuts for nature, Africa, our planet, adventure or just a hot guy on a bike, you most definitely want to follow this journey! Wallace Stevens said the most beautiful thing in the world is, of course, the world itself. Our world. Our home. A home that’s rapidly being damaged but also one for which so many organisations and people are willing to fight. This is something Spark Talks wants to push into the spotlight, the beauty of the world, the destruction of it, and the ones that are speaking for an earth whose voice is so often silenced to allow for more destruction. And what better way to help this cause than to see it. Meet Willie, our Spark Talks brand ambassador who will be taking you on a journey through west Africa on the adventure of a lifetime. For three months we’ll be joining Willie as we travel with him from South Africa to Morocco for approximately 16 000 km through 16 countries. For those of you who are unfamiliar with these areas, don’t worry as so is Willie – which means we’re all in for a voyage of note! 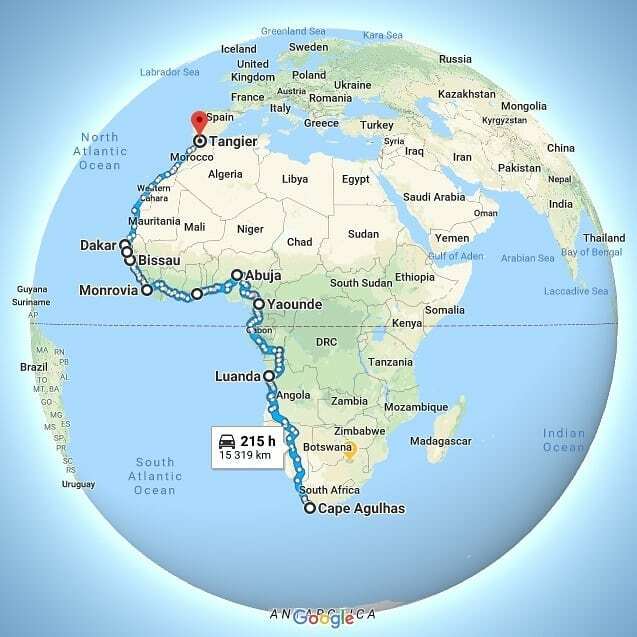 “I’m extremely excited about travelling through the Central African rain forests (DRC, Congo, Gabon and Cameroon), the Western African coastline (Nigeria, Benin, Togo, Ghana, Côte d’Ivoire) and finally seeing the Western Sahara Desert (Mauritania, Morocco),” Willie says as he prepares for this brave and exciting journey. Willie will be filing live from his travels and pushing your wanderlust to its limit, and he’s doing it in the name of Conservation! We’ll be using the hashtag #WaarsWillie and bring you regular updates, pictures, videos and stories as Willie travels through Africa and share some interesting projects. But, it’s not all just fun and games. Those who know overlanding in Western Africa, will know that it’s going to be a tough one but a journey that’ll change the lives of anyone who takes it and ideally all the people following Willie and all the people he meets along the way. And, through creating awareness Willie and Spark Talks will hopefully also have a positive change on our environment and inspire others to take up the conservation cause! “We as individuals all have a role to play. With an estimated 7,5 billion people on earth, every little thing that we do adds up very quickly. For better or worse. This tour is not going to change the world, but hopefully it will change a few people’s minds,” says Willie. Join us on Facebook and follow us on Instagram to follow this amazing adventure! 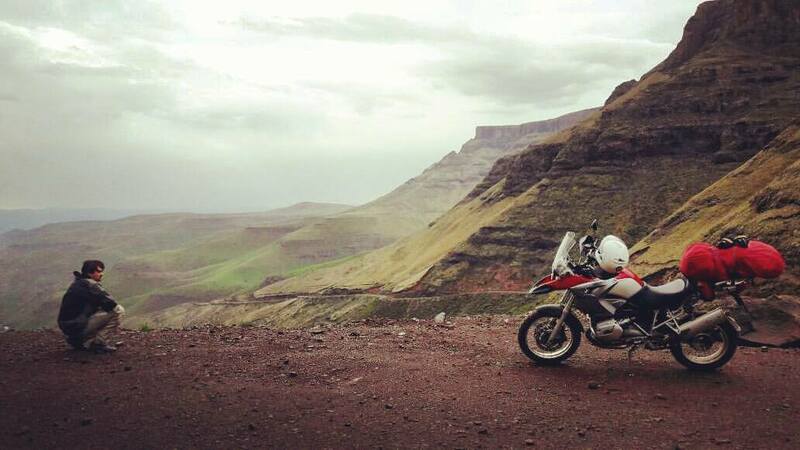 Meet Willem, a Spark Talks brand ambassador who will be taking the road less traveled by motorcycle from South Africa to Morocco through 22 counties to create awareness for #SparkTalks and our passion for conservation. You’ll be able to follow this amazing journey on this page as we travel with him and visit some of the region’s most magnificent natural gems. If you’re wanderlusting after an adventure, this is the place to be! #WaarsWillie 🛵🌍 🇿🇦 Get ready to join Spark Talks on a motorbike adventure of a lifetime. We’re behind the scenes getting ready for brand ambassador Willie’s amazing adventure through West Africa to raise awareness for #SparkTalks and conservation. More details at link in bio.